Hi everyone, my name is Louis Reed-Wood, also known by my battletag Louwilliam. I’m here to talk to you today about deckbuilding. Deckbuilding is a fun, creative, and rewarding experience within the game of Hearthstone - plus, it's always satisfying to win games with a deck you put together yourself! However, deckbuilding is an aspect of Hearthstone that many players find challenging; some find it overwhelming, and may not know where to begin. So to help you out, I've put together a list with some helpful hints to consider when putting your deck together! 1) Choose a Theory, and Stick to It! Before building a deck, it's important to have a general theme for how you would like your deck to work. Are you building an aggro deck or a control deck? If it's an aggro deck, will you trade minions willingly or hit their face? 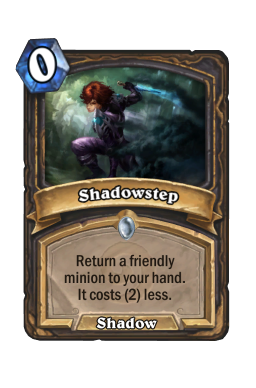 If it's a control deck, will you control the board through board clears or through trading minions? These are the types of questions you should ask yourself before putting your deck together. By having a theory in mind, you can then select cards that fit within that theory. There are many cards that are individually good, but may not work well within your theme. By knowing and understanding the underlying principles of your deck, you can avoid falling into these traps. 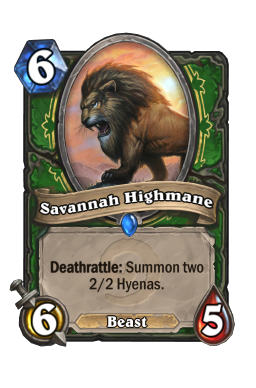 For example, Savannah Highmane , King Krush , and Gladiators Longbow are all powerful Hunter cards; but if you intend to build an aggressive Hunter deck, their high mana cost will frequently make them useless. 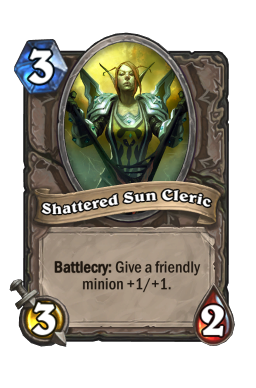 Similarly, many cards that are popular in aggressive decks (such as Knife Juggler and Shattered Sun Cleric ) will often have no place in a control deck. Having a strong mana curve is vital to success. 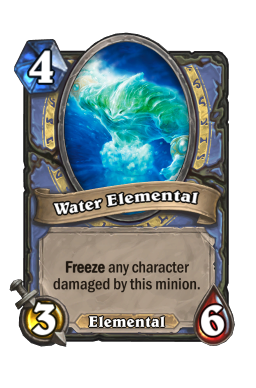 Generally speaking, your deck should have enough early-game minions or spells so that you can compete for the board early, as taking control of the board back from your opponent is quite difficult. At the same time, if you don’t have enough mid- to late-game minions, the cards played by your opponent will simply be more powerful than your own. This may force you to trade multiple cards for their one card, which is never a good situation. A strong curve allows you to be competitive (and ideally, take advantage) at all stages of the game. 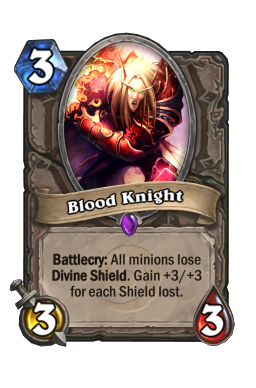 A strong curve also makes you more likely to use all your mana each turn, which essentially means you will be making more powerful plays than if you only use part of your mana. It is difficult to make hard-and-fast rules about what your mana curve should look like, but you want to be able to at least compete with your opponent (if not take advantage) at every stage of the game. 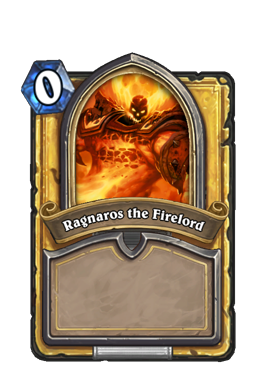 That said, aggressive decks should be built with a low mana curve as there frequently is no late-game; if you expect to win games by turn 7-8, playing cards like Ragnaros the Firelord will be too high-costed to be useful. 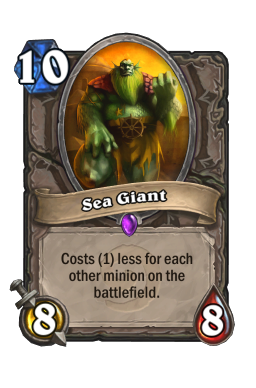 Control decks are better at seizing back board control later in the game and want to force the game to last longer, and as such they usually feature a heavier mana curve. 3) Card Draw, Card Draw, Card Draw! Each card in your hand is a potential play. The more cards you have, the more options you have; therefore, you have a greater chance of making a better play if you have more available options. Additionally, running out of cards before your opponent does is almost always a recipe for disaster. This means that it’s usually best to build your deck with enough card draw to make sure you have a good hand size. Card draw is something that is vital to any deck, but many newer players struggle to fully understand. 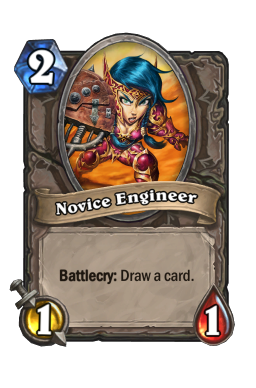 The amount of draw to include is variable based on your deck, as control decks tend to emphasize card draw more than aggro decks do. 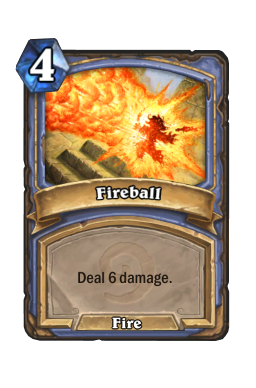 It's also worth noting that card draw is something you frequently don’t need to worry about when playing a Warlock deck, as you always have a way to draw a card. At the same time, it’s important to recognize that you can have too much card draw. 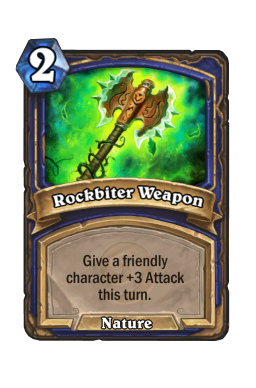 Cards that draw cards are otherwise weak in terms of tempo, as they typically have worst stats. 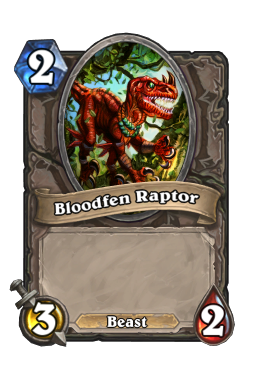 For example, a card like a 1/1 Novice Engineer creates much weaker board presence than a 3/2 Bloodfen Raptor for the same mana cost. This balance between card draw and tempo will vary from deck to deck, and striking the right balance is a hallmark of a good deckbuilder. 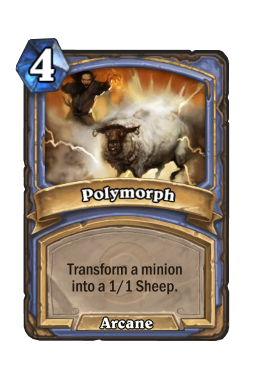 An important ability you have in constructed that you lack in arena is the ability to build around various synergies. 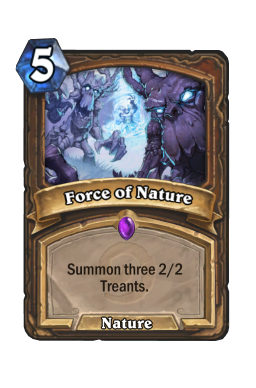 A deck that takes advantage of this ability will outperform a deck that simply uses individually strong cards with no harmony. 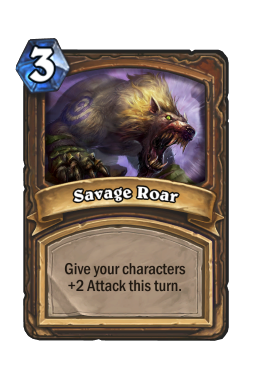 Some of these synergies may be extremely powerful, such as Starving Buzzard + Unleash The Hounds or Force of Nature + Savage Roar , but not all synergies need to be that strong. When constructing a deck, you should have a general idea of how your deck will kill your opponent. Do you plan on slowly beating them down will small minions? Will you use powerful legendaries to deal massive damage? Your deck can have all the removal in the world, but you can’t win without dealing 30 damage to your opponent (or more, against decks with life gain) somehow. 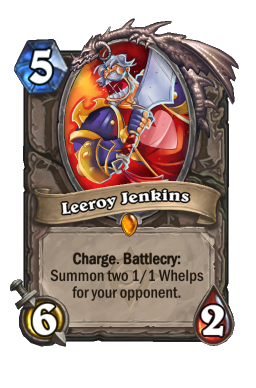 Leeroy Jenkins + Shadowstep , Force of Nature + Savage Roar , and AlAkir the Windlord + Rockbiter Weapon . While it is by no means necessary to have a powerful finishing combo, it’s worth considering; the amount of damage many of these combos deal can catch your opponent off-guard, or force them to play sub-optimally to avoid being killed. 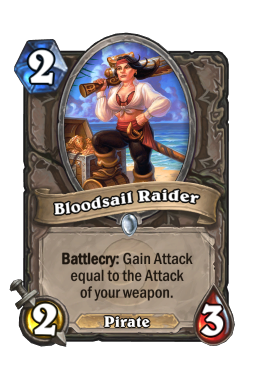 However, if the combo requires more than two cards, including it in your deck will probably be unwise. It may be difficult to draw into a combo that requires three cards, and until you have the entire combo the individual pieces will be dead cards in your hand. Generally, the strongest decks are capable of winning without their big combo; the combo is just an added threat. But the choice is yours! 7) Don’t Dismiss Unpopular Cards! 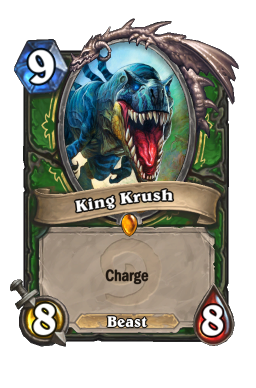 Just because a card isn’t very useful in most decks doesn’t necessarily mean it won’t be useful in your deck. Every card has a possible situation where it does something useful, and although some might be very situational, they may just work in your deck! 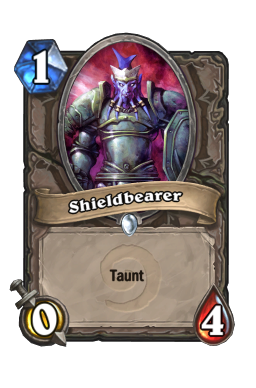 Until very recently, people considered Shieldbearer to be a very bad card. 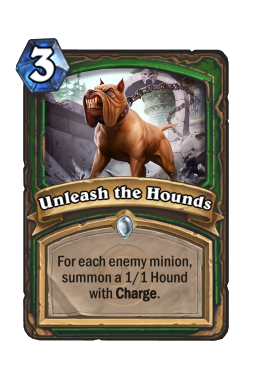 But now Shieldbearer is being used in Warlock zoo decks as a method of protecting low-health minions. I’m not saying you should include bad cards in your deck; I’m just saying that failing to consider cards simply because they’re unpopular means you’re missing out on some cards that could possibly be useful. 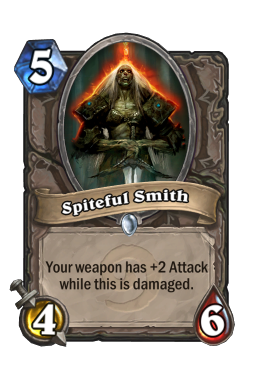 Traditionally ‘weak’ cards also have the added benefit of surprising your opponent. Don’t dismiss possible cards before giving them a chance! While a deck that is excellent against every single matchup would be nearly impossible to build (but let me know if you find one), a deck that is strong against a wide array of matchups is certainly possible. You want your deck to be strong (or at least competitive) against as many different decks as possible. Unless you are playing in a tournament, ‘sniping’ a specific deck will rarely result in success. 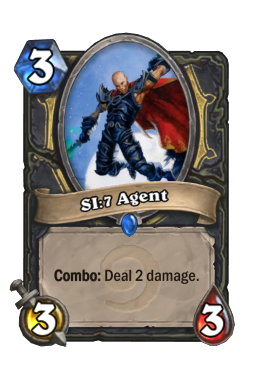 Cards that are good against both aggro and control are cards you usually want to include. 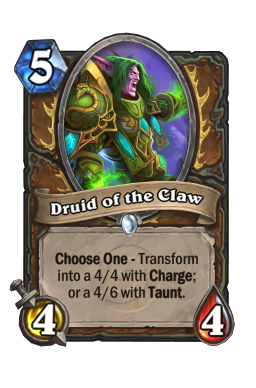 Most classes have a few cards that are good in almost every matchup, such as Druid of the Claw , SI:7 Agent , and Water Elemental . 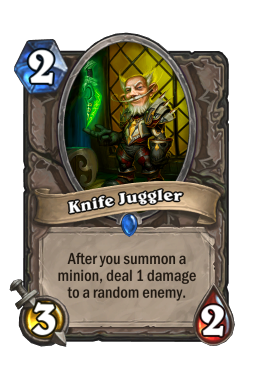 You also may need to add a few cards in order to improve specific matchups; for example, Taunt minions tend to be useful against aggro, and single-target removal is frequently quite strong against control. No deck will be perfect the first time you put it together. Like a rough draft of a written work, editing and revision will improve the final product. You should play some games with your initial deck, and try to closely analyze those games for possible improvements; perhaps you need more early-game presence, or more card draw. If you lose, try to determine WHY you lost, and make adjustments accordingly. 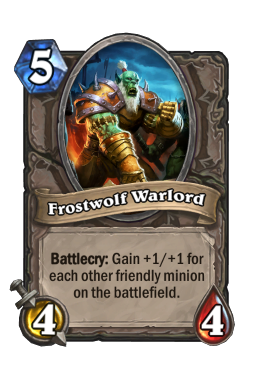 If possible, have a friend play a variety of decks against your deck to test it against an array of matchups.